Visiometrics was in desperate need of a facelift in order to jump-start sales of their HD Analyzer; with an old website that didn't tell their story and nearly no marketing collateral to speak of, Visiometrics gave us a call. Although their HD Analyzer is a powerful device for measuring the effect of ocular scatter on visual outcomes, their website and marketing materials didn't accurately reflect the power of their device. Visiometrics' previous website was in dire need of a facelift – it hadn't been updated in several years and wasn't responsive. While the old website told of the HD Analyzer, the website did little to explain why "Scatter Matters." It wasn't a powerful sales tool for physicians to understand the importance of ocular scatter, nor was it an educational resource for patients...it just sat there. 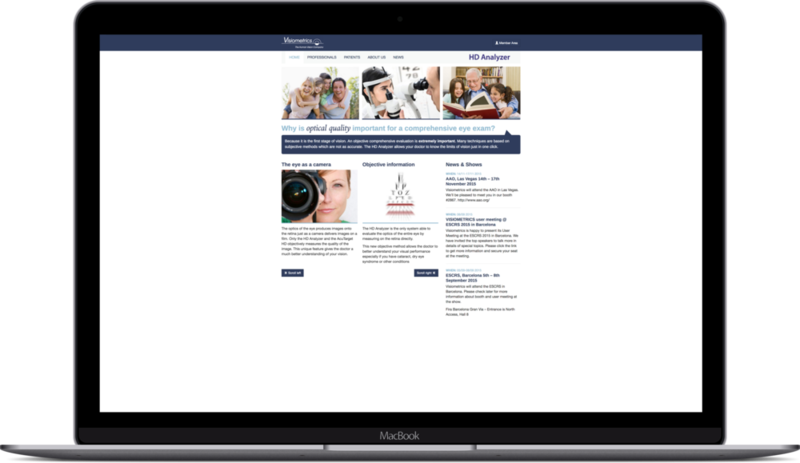 Visiometrics needed to give their website a facelift without changing their branding or the HD Analyzer device itself – they needed a clearer way to communicate the importance of ocular scatter to physicians and patients alike. Visiometrics lacked a consistent message across their brand, a problem that was hurting their sales, their physician outreach, and their patient education. If nobody understood why "Scatter Matters," how could Visiometrics sell their HD Analyzer? Messenger helped Visiometrics with a "re-brand" of their website, establishing a consistent message (and a way to tell it) for their many audiences. By crafting a custom website designed to tell their story, educate patients, and help physicians self-identify why the HD Analyzer could help them build a premium practice, we were able to help Visiometrics clearly communicate their story to multiple audiences and boost sales of their devices. We reached out to Messenger when we had very little capacity to redesign our website and build out content. As the team grew and more folks got involved on the project, Messenger provided great leadership, valuing the opinions of others while urgently shepherding the project along. In addition to a digital re-brand, Visiometrics needed tradeshow banners and other marketing collateral to help tell their story at trade shows and industry events. We helped Visiometrics refine their story and show off the benefits of the HD Analyzer, telling the true story of why "Scatter Matters." 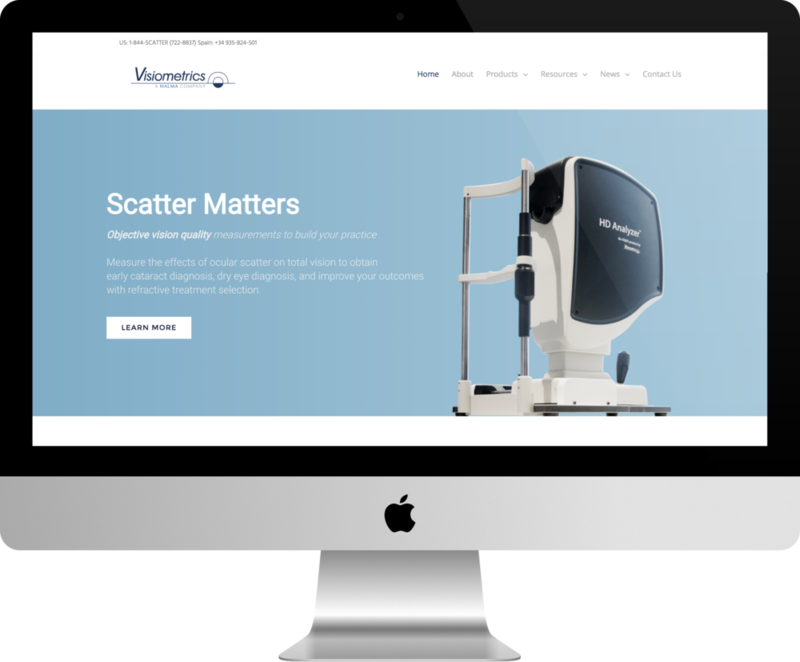 By redesigning Visiometrics' website and creating strong marketing collateral for the company, we have helped Visiometrics boost sales of their HD Analyzer and educate physicians and patients alike on the benefits of HD Analyzer, the stages of Dysfunctional Lens Syndrome, and the real reason that "Scatter Matters." Think you may need a re-brand of your website?